Note: All departure and return points for cruise excursions are from the Joan Harriss Cruise Pavilion, Sydney, Nova Scotia - home of the "Big Fiddle". ** Visiting the Port of Charlottetown? Take a look at some of the best tours of Prince Edward Island. Departure and Return Times: We try to make the best use of your time in port, which varies by ship. We ask passengers to proceed to the dock upon the ship's arrival and we will return one hour before the ship's departure. A name can be deceiving. Described as “Islands within a sea within an island”, the Bras D’Or Lake is not a lake at all, but Canada’s Largest Inland Sea. The picturesque village of Baddeck has been a favorite spot of locals and visitors for many years – so much so, that one famous visitor chose to make his home there on “Beinn Breagh”, gaelic for beautiful mountain. The day begins with a visit to the Alexander Graham Bell museum where you will learn about the extraordinary life and works of Graham Bell and exploring the shops and restaurants that line the main street before returning to your ship. From June to October, fly fishers flock to the Margaree in hopes of landing the large adult salmon for which the river is famous. Designated a Canadian Heritage River, the Margaree is Cape Breton’s largest watershed, flowing from the Highlands to the Gulf of St. Lawrence. This cold, clear river is home to Atlantic salmon, gaspereau and sea trout. 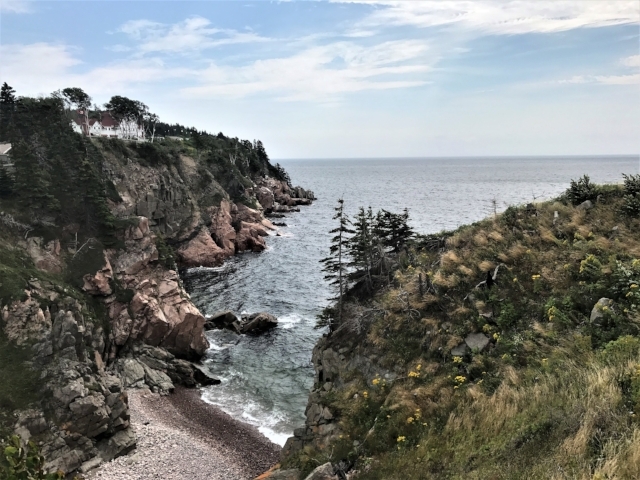 Its shores and steep glacial valleys are home to rare birds and mammals, including bald eagles, osprey, and the Gaspé shrew. Note: This tour has a maximum of four participants. ..A tour to highlight producers on Cape Breton.